SEOUL -- South Korea's top budget carrier, Jeju Air, will buy a fleet of Boeing's new B737 MAX passenger jets in a $4.4 billion deal that would change its operation based on leased planes and broaden its flight coverage beyond Asia. The delivery of 40 B737 MAX jets will begin in 2022. An optional purchase of 10 more is possible and Boeing will provide various support such as the supply of engines and parts. Jeju Air aims to reduce fuel costs, maintenance expenses and rental fees through the purchase of new eco-friendly planes. Currently, the carrier runs 38 B737-800s, including 35 chartered ones. 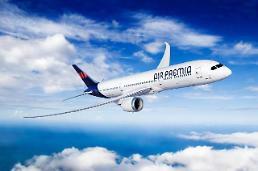 Another B737-800 will arrive by the end of this year. 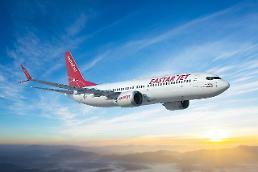 Boeing's 737 MAX is a narrow-body aircraft series designed to succeed the 737 Next Generation (NG) series. The fuel-efficient MAX series is offered in different lengths from MAX 7 to MAX 10. Initially, Jeje Air will receive MAX 8s but MAX 10s can be delivered later if the South Korean company wants. 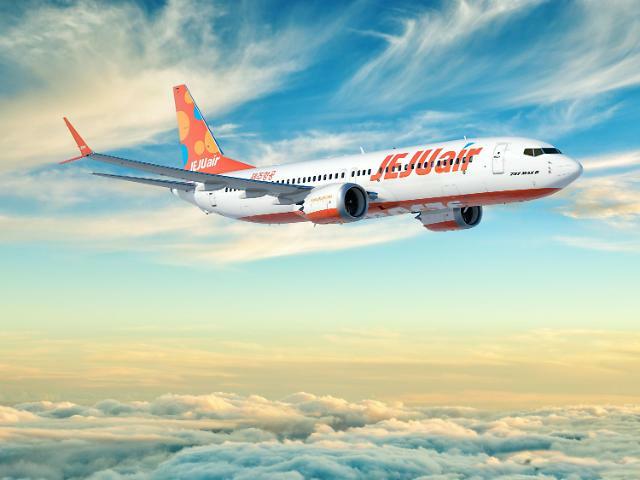 The low-cost carrier, based on the southern resort island of Jeju, has made an aggressive investment to increase the size of its fleet and air routes. Last year, its revenue was up 33.3 percent to 996.3 billion won ($886.4). Net profit gained 45.5 percent to 77.1 billion won, supported by loyal clients and a positive consumer perception.